Report all sick/injured/dead sea turtles and nest disturbances to the SCDNR at 1-800-922-5431 so that staff/volunteers can respond as soon as possible. Respect boating laws and boat cautiously, especially in small tidal creeks where sea turtles like to feed. Boat strikes have emerged as the leading cause of death for sea turtles in South Carolina. Keep artificial lights off the beach at night during nesting season – this includes beachfront property lights and flash photography, which can disorient nesting mothers and hatchlings. Always respect sea turtles by observing them from a distance on the beach. Individuals that violate federal law by harming or interfering with sea turtles or their nests can be subject to civil penalties of up to $25,000 and up to a year’s imprisonment. Keep our beaches and ocean clean by avoiding single-use plastics. Plastic bags and balloons are among the most common trash items found on South Carolina beaches and can cause injury or death when sea turtles mistake them for food. 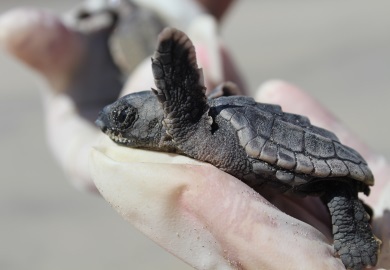 Promote and support our program for continued conservation of sea turtles in South Carolina. U.S. 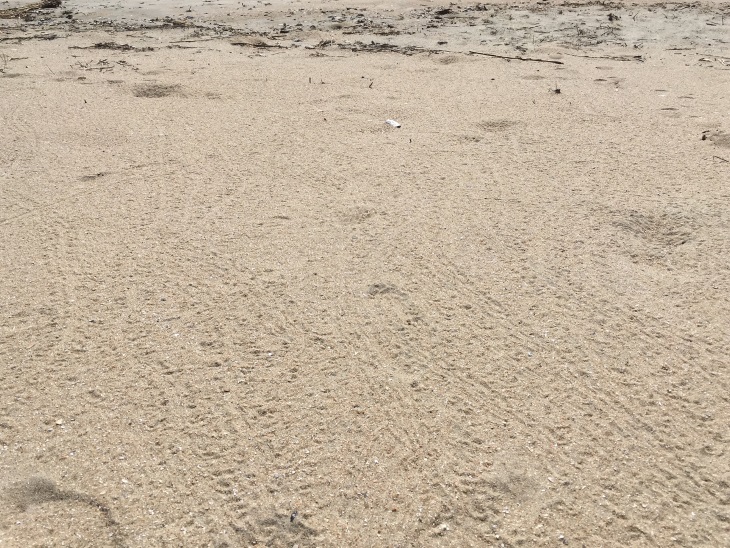 Fish and Wildlife biologist Jerry Tupacz captured these tiny hatchling tracks on July 11 at the first nest to hatch in Cape Romain National Wildlife Refuge.